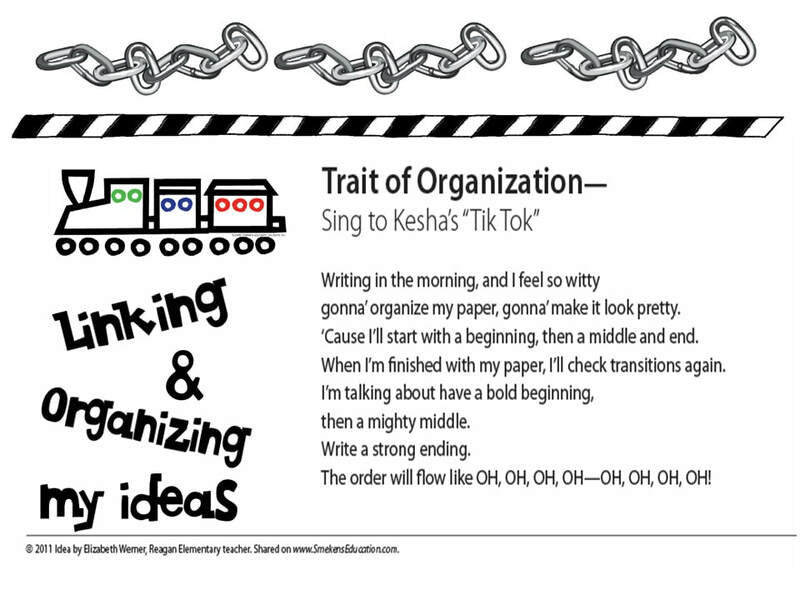 Organization is the internal structure of a piece of writing. It is the thread that holds the story together in a logical order, the pattern, and sequence. 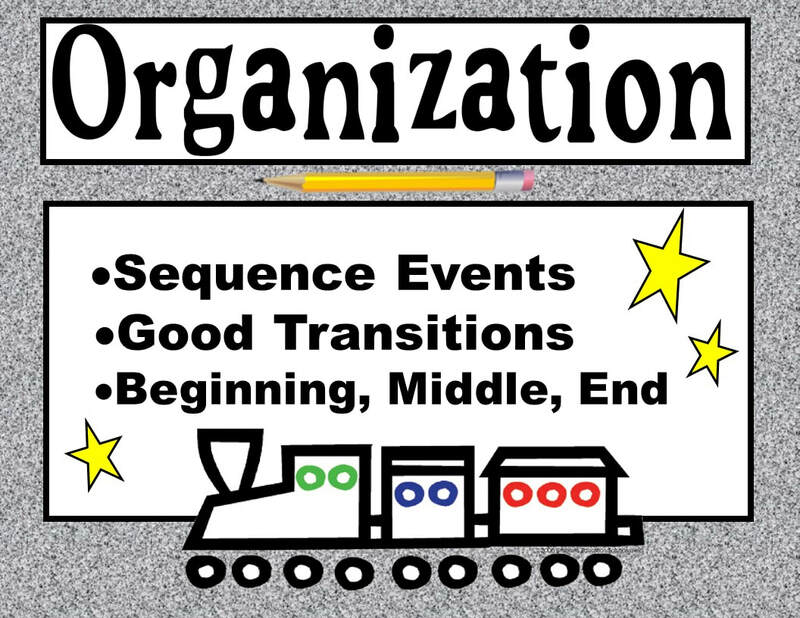 Organizational structure can be based on comparison-contrast, problem-solution, development of a central theme, chronological history of an event, or any of several identifiable patterns. 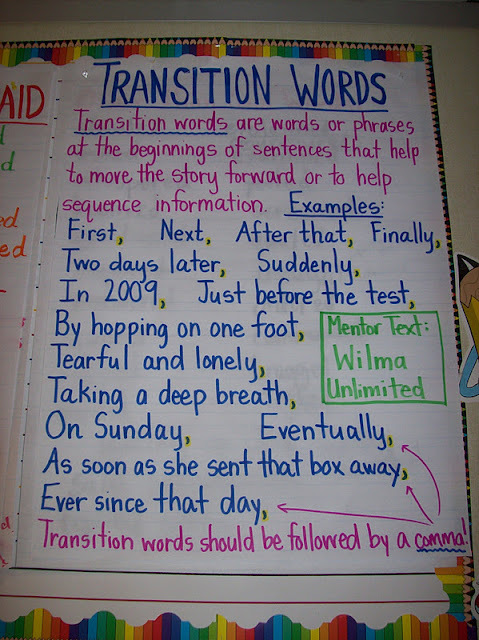 When Organization is strong, the text begins and continues in a meaningful way leading the reader through a series of events that is, ultimately fulfilled with a satisfactory ending. Events proceed logically; with rich details keeping the reader's interest. Connections are strong, and transitions are used to hep bridge one idea to the next idea. The writing closes with a strong ending that resolves a problem or leaves the reader with something to think about.. or apply to their own life. 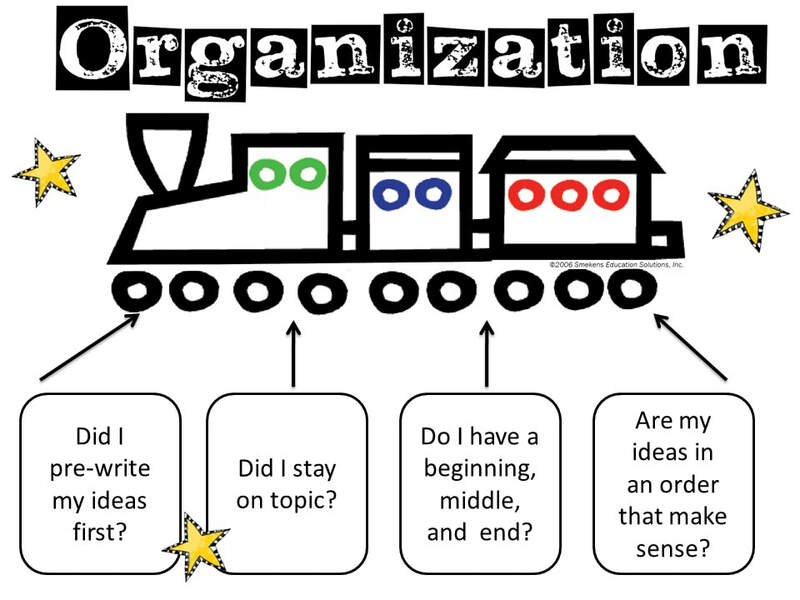 Click on link above for "Organization" Mini-Lessons. Click link above. Must be logged into FTCSC Google Drive. 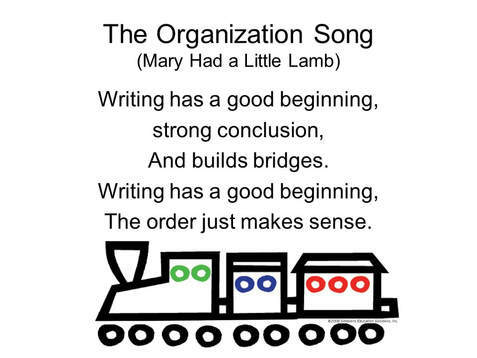 Organization Song - sung to the tune of: "Mary Had a Little Lamb"
Students learn to start and end their stories with a similar type of beginning and ending. 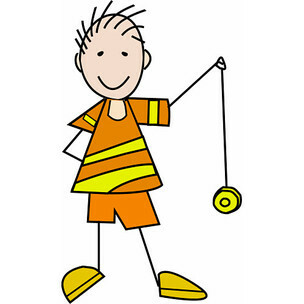 The yo - yo is the symbol to remember to use this writer's technique.